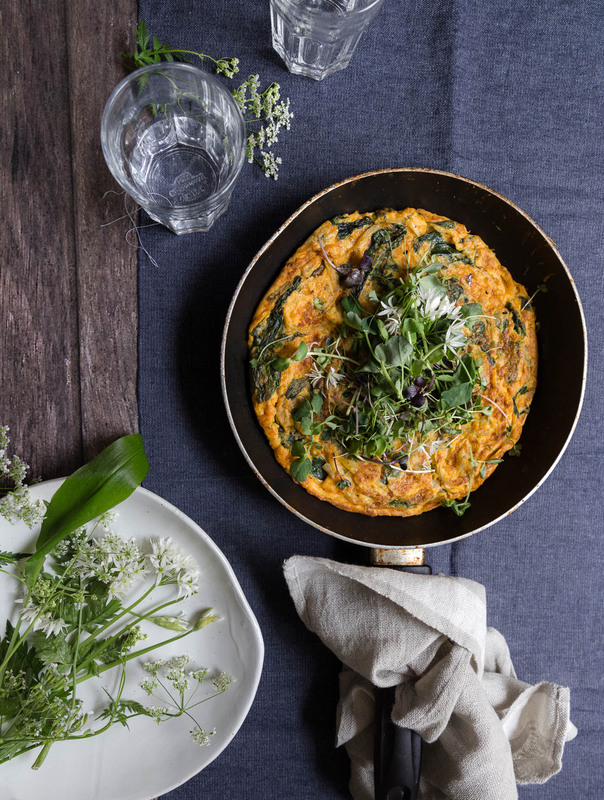 A frittata recipe for you here, which is really just an excuse to find another way to use wild garlic. A good excuse, nonetheless. 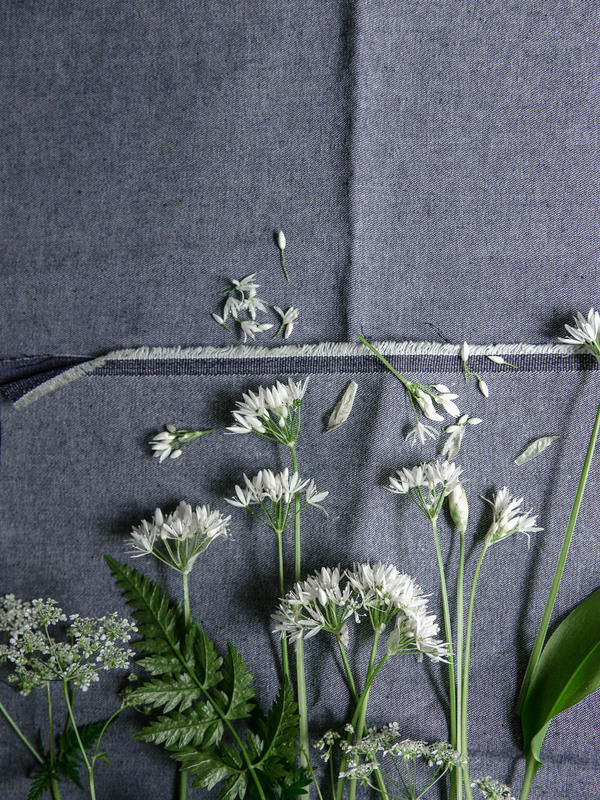 All in all, this could be the fifth post I’ve done on wild garlic? I don’t know what more I can possibly say on the stuff. Other than the fact that my current scent could be described as Eau de Wild Garlic. I’m okay with that, it’s all worth it. The season is brief and I love it so much, best to make the most of it while it’s around! I do have one new thing to add, so stay with me. I was just chatting to Abi this week about whether or not wild garlic foraging is restricted within National Trust parks. 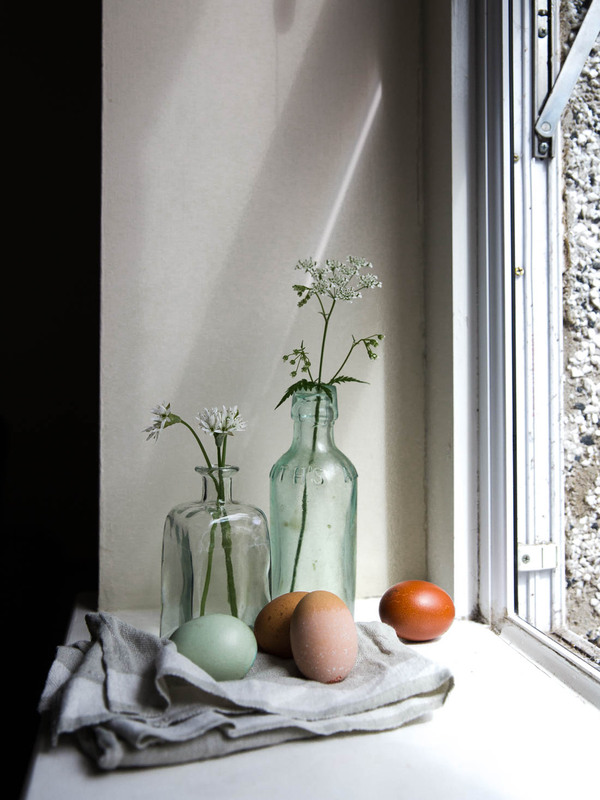 The specific place was in fact Prior Park in Bath, a beautiful National Trust garden where you’ll currently find all of the wild garlic you’ll ever need. Then coincidentally, the same night after our chat I stumbled across this tweet from National Trust Prior Park themselves. How wonderful to find they’re welcoming us to their garden for wild garlic collection. I love the idea of them handing out recipe cards as well! So there we have it, what’s probably the last wild garlic recipe for this time around. I’m sure I’ll be back here again next year wittering on about new ways to use it. I would usually cook a frittata by finishing off in the oven to set, unfortunately, this pan here doesn’t lend itself to that. 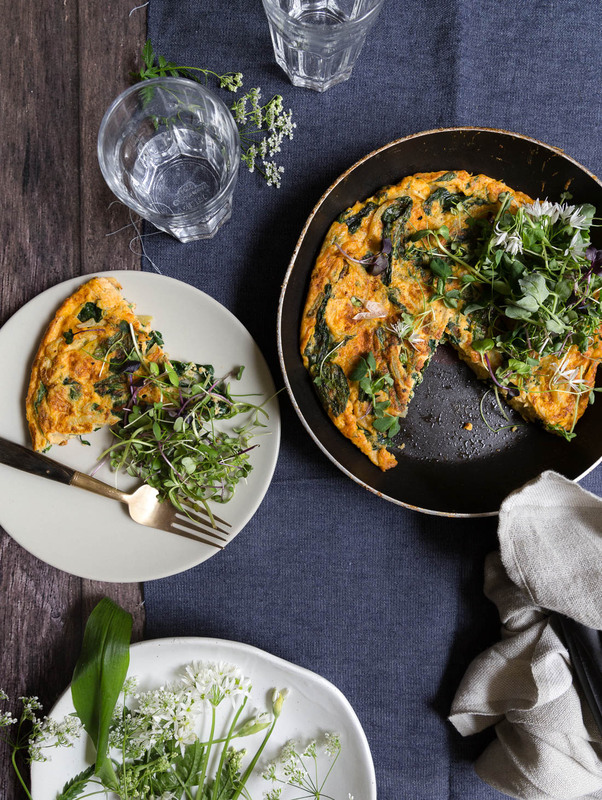 If you have the tools and want to go about cooking this frittata in a way you usually would, please do! My recipe is just a guide on how I went about cooking this particular one. Enjoy! 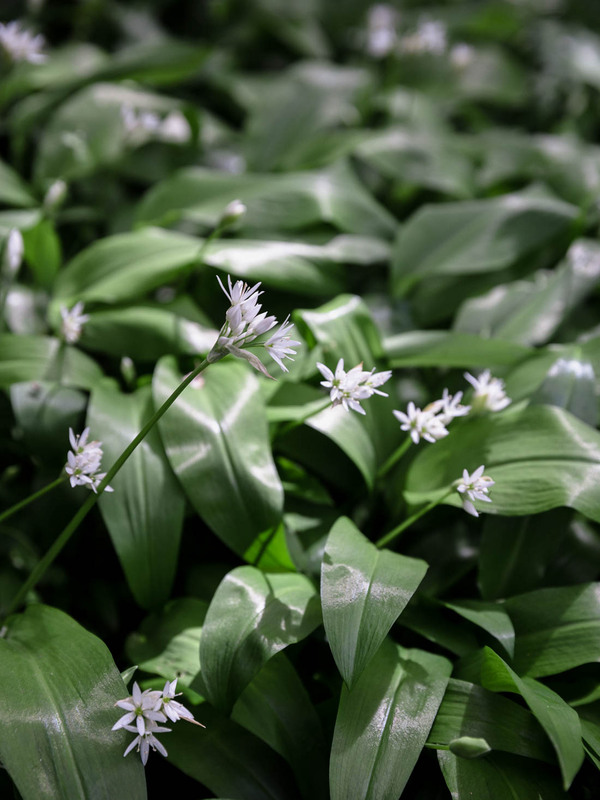 First be sure to wash your wild garlic leaves and flowers thoroughly, drain and roughly chop. Pop a small frying pan over a moderate heat and once warm add a knob of butter. Add the onion, reduce the heat and cook slowly until softened. Add the wild garlic leaves and flowers to the pan, stirring and allow to wilt a little over the heat. 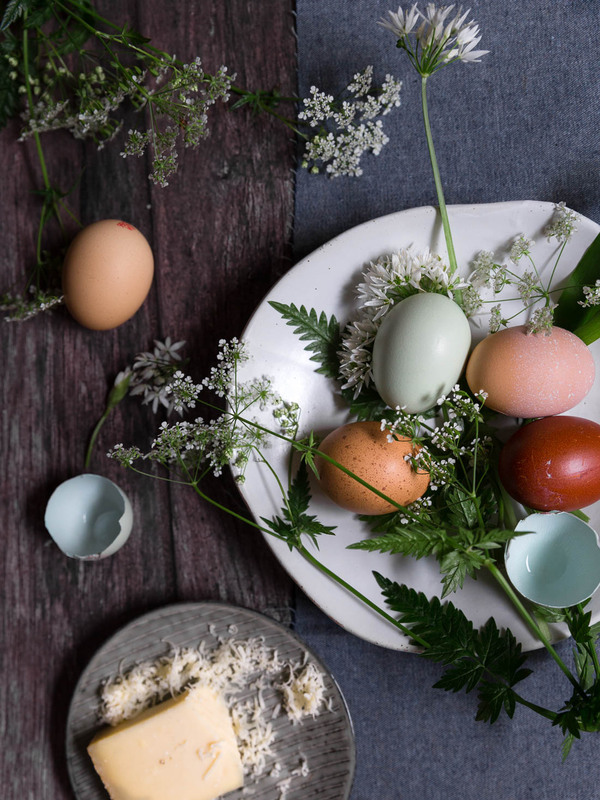 Whisk the eggs, season well with salt and pepper, then whisk in the cheese. Add the onions and wild garlic to the egg mixture and stir to combine. Set the frying pan over a moderate heat again, add a drizzle of olive oil to the pan and once warm, pour in the frittata mixture. Cook over a low to medium heat until golden brown on the bottom, stirring the mixture on top and moving the pan around for the runny egg to fill the gaps. After around 8 - 10 minutes, the frittata should be almost set. Flip onto a plate, then slide the frittata back into the pan to quickly brown on the other side. Slice and serve with green mixed leaves.